Last night we took my mother out for dinner to celebrate her 81st birthday. My parents still live in the house in which I grew up, in a suburb south of San Francisco. I’m lucky enough to have easy access to them, living within an hour’s drive on the northern side of the city by the bay. My father, 83, was a career longshoreman whose work involved tough manual labor for most of his career. He now suffers from a bad back and walks with a cane to support his stooped over posture. I first noticed my dad’s cane in the trunk of their main commuting car about three years ago. He rarely used it, yet I’ve seen his reliance on it grow in the last couple of years. Yesterday when we arrived at my parents’ home, I discovered a second cane for the first time in their bedroom. Over the past couple of years my mom has become the primary driver because my dad’s eyesight isn’t great. He’ll drive himself to his weekly Tuesday lunch with his buddies, but that’s about it. Whenever we all go out now, we drop my dad near the front door of the restaurant so that he doesn’t have far to walk. In comparison, my mom is in pretty good shape. She gets around rather well, yet lately I’ve been seeing different signs of her aging. The once almost immaculate house is no longer immaculate. Her outdoor orchid plants, until recently her passion, now have weeds in between the potted bulbs. Last night after we finished a wonderful dinner at their favorite Basque restaurant, I looked at my parents across the table and felt an emotional wave of gratitude for all the memories I’ve been able to share with them as an adult. I spent a good chunk of my mid-20s to mid-30s living in New England for my work. My parents were in their 50s then. Although my dad, who immigrated to the U.S. from the island of Malta at age 16 had seen many parts of the world before arriving in San Francisco, he’d not traveled to the northeastern part of our country. My mom who was a Brooklyn born full Croatian had never traveled the northeast states either. So my home in New Hampshire made for the perfect launching pad for memories. During one of their early visits to see me in New Hampshire, my parents had expected to be driving with my husband and I to Montreal, yet our SUV that was supposed to get us there was sitting at the local garage. Somehow we gained access to the SUV the night they arrived and my dad fixed whatever was wrong so that it became our vehicle to Montreal the next day. There was another time when my mom and I laughed our pants off when we couldn’t find our way off the toll road that kept bringing us back to Newport, Rhode Island. I loved that I introduced my California parents to Maine steamers and lobster and the beauty of Vermont. Those were the days. I moved back to the San Francisco Bay Area in 1996, and a year later bought a waterfront condominium in Marin County, which was a spot that fostered many other great memories with my parents. My father, a bird lover and a fisherman, enjoyed the unique outdoors where I lived. My mom was a presence I could rely upon, whether that be in-patient surgery or holding my hand as I said good-bye to my treasured kitty friend. They haven’t spent much time at my place over the past few years. The traffic to get through San Francisco is too much for them and they’ve become much more comfortable sleeping in their own bed. I miss the old times. I wish I had been more appreciative of those days as they were happening. I knew we were enjoying time together, but I didn’t have the awareness that those days would someday be limited. I know that now. And better late than never for it gives me an understanding of how I want to charter the remaining times we have together. I joined a new health club a couple of months ago and am now settling into my routine. I’ve recently discovered a class instructor who has become my favorite. Her classes are always very challenging, yet different, and she pushes us really hard. I always leave her classes with a great feeling that I’ve given myself a healthy workout that I can feel into the next day. Although I do know the instructor’s first name, I refer to her as “Sergeant” when I talk about her with my husband. I call her this because of the grueling nature of her instructing style, along with an overall lack of warmth or compassion. While she has a good sense of humor, her demeanor is tough. Yesterday was the Sunday morning after turning the clocks ahead. I was planning on attending Sergeant’s 10 am Total Body class and considered that I needed to go to bed early enough on Saturday night to feel energetic despite an hour of sleep lost. My alarm first went off at 8 am Sunday morning. I knew I had time to spare and made a mental note to snooze my alarm. That didn’t happen. Instead I woke up at 9:22 and jumped out of bed in a panic to make the class. I got to the health club in plenty of time to make the class. Once the Zumba class ahead of us had cleared, I walked into the exercise studio with all the other women. We grabbed a step platform and weights. Sergeant got the music started and our time together began. As we worked through the hour with cardio, weights, bands and core exercises, I felt a sense of joy that I was getting the workout I wanted. It was probably the sixth class I’d taken from Sergeant and I was thinking that it was time to express my appreciation to her and introduce myself after class. After class ended and the exercise studio was emptying, I took a place behind a woman talking with Sergeant at the front of the studio. It was clear from their conversation that the woman had been a regular in Sergeant’s classes and that there was a fair amount of familiarity between them. When that woman stepped away, Sergeant turned her body away from me to focus her attention on the music she was disassembling. It struck me as odd. Hadn’t she seen me standing there waiting to talk to her? What happened next surprised me. Or better said, what didn’t happen amazed me. I expected a smile. I expected to see some type of facial expression or eye contact that displayed feelings. I expected to see that my outreach of gratitude was felt and appreciated. I experienced none of that. Instead I got a cold snub. It made feel bad. I walked out of the exercise studio, through the health club, and outside to the parking lot totally attached to the bad experience I’d just had. I felt humiliated having extended myself and then being treated like that. I was pissed. If her classes weren’t such good workouts, I would have vowed never to attend them again. But they are, and I had to find a way to deal with my experience. I was reflecting back on what I’ve observed in the woman I call Sergeant. First of all, I typically refer to people by their names unless there’s a particular aspect about them that is part of the story I’m trying to tell. Why would I ever expect that a woman I have named Sergeant will be warm and fuzzy to me? Duh! I’m also suspecting that I may have encountered Sergeant at a time in her life when she’s not feeling particularly good about herself. She’s mentioned in classes that she’ll be turning 60 this year, that no matter how hard she works, her body is becoming “fleshy”, declares that she hasn’t gotten a face lift because it will mean too much time away from the gym, and so on. The coldness I encountered is not about me. It’s about whatever is going on in her life that is preventing her from having an open heart. The next time I see her will be through eyes of compassion rather than insult. Last weekend I got together with a friend I hadn’t seen since high school. That was 40 years ago for me! Lynn and I joked beforehand that we didn’t feel like we were old enough to not have seen someone in 40 years. We were meeting for lunch at a restaurant that was only a half hour ride from my home, but it gave me an excuse to experience our new regional train system. Lynn offered to pick me up at the train station. She told me that she had a dark red SUV, which I immediately recognized when I arrived at the top of the train platform, which faced the street where she was parked. I gave her a big wave as I walked down the platform steps and she waved back, like it had been just yesterday. As I reached her car, Lynn jumped out and we shared a big hug. We climbed back into her car and made our way the half mile to the downtown area where I’d made our lunch reservation. We exchanged small talk while we circled the block looking for parking, but once we landed the car and got on our feet towards the restaurant, we began our process of catching up. Lynn and I weren’t exactly close in high school, but I often hung around with a group of girls that she was close with. As we walked towards the restaurant, we retraced how she came to recently connect with me on Facebook and we were reminded that we shared a family connection. I have twin cousins who are close friends with her younger sister and her parents had shared a friendship with my aunt and uncle. We arrived at the modern Italian restaurant and buried ourselves in conversation for over two and a half hours, before noticing that we had blown through their designated 3:00 PM close time. We told our waiter that we hadn’t seen each other in decades, and the staff graciously allowed us to linger in the dining room while they were technically closed. Once we realized this, it was time to get me back to the train station, where Lynn set me off with another hug. I’ve noticed that the conversation that I shared with Lynn has influenced my thoughts over the past week. The process of sharing 40 years of my history has reminded me of the wide variety of interesting things I’ve done in my life that I no longer acknowledge in my day to day thinking. I am often guilty of being so fixated on what I want to accomplish next that I don’t give any attention to the cool things I’ve done that I feel really good about. Spending time or sharing with friends from your past is a great window into your soul. These are the people who can help you to see who you are, and the possibilities that lie ahead. 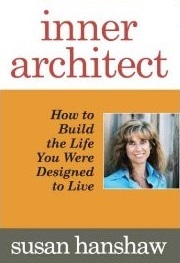 This post is an excerpt from my book Inner Architect: How to Build the Life You Were Designed to Live. Declare that you are no longer willing to tolerate a particular habit or way of being. Identify the specific things you need to do differently to change. Acknowledge that you are in complete control of your actions. Recognize the process of change as being day by day. Commit to making the desired actions for that particular day. If you fall down, forgive yourself and start fresh. At the end of each day, honor your ability to make the choice you want and create the change you desire. A couple of weeks ago I reconnected with a friend I hadn’t seen or talked to in 17 years. I met Ed when I was participating in a local Church of Religious Science, a New Thought movement whose teachings are called Science of Mind. The church community broke up when the minister moved away and I lost touch with Ed and my involvement with Science of Mind ended. Reconnecting with Ed inspired me to dust off one of my Science of Mind books and get reacquainted with the teachings. I was reminded that Science of Mind teaches a specific format for affirmative prayer that is called Spiritual Mind Treatment. I remembered that I never quite felt fully comfortable with the treatment process. At the time it felt so structured and formal. I was used to praying in a conversational style. The particular book I picked up didn’t outline the treatment process so I grabbed my iPad and Googled it. Somehow the steps outlined in the search result I clicked on suddenly made a lot of sense. Acknowledge that there is one force that is the creative power behind everything that exists. I call this power God yet there are other names you might better resonate with. Recognize that this same intelligence that created everything is also within you. Name your desire with the feeling that it is already yours. This is moving away from the feeling of ‘wanting’ to the feeling of ‘having’ already received. Focus on the feeling of gratitude. Release the process with trust that what you desire is manifesting. A condition I desired to change recently was the health of my 17-year old cat Janie, who is challenged by a kidney condition, not uncommon in older cats. Over the last couple of months Janie had not been eating much and consequently lost a lot of weight. It pained me to feel her bones when I petted her and saddened me to recognize she was spending most of her time under the bed. Over the course of the past couple of months I had done a fair amount of online research on the care of kidney cats and followed the advice of Janie’s homeopathic vet. I had experimented with different foods. Some she didn’t like and others made her throw up. I felt some relief when I started her on a prescription diet, yet her appetite remained almost non-existent and the weight loss continued. 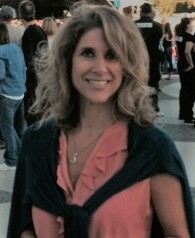 Last week in a Spiritual Mind Treatment I set my desire for Janie’s body to be revitalized with muscle and weight gain. I didn’t anticipate that I would play a role in this. I just wanted it to happen. Within a day I sat again at my computer looking for answers on how to help her. I came across a website of a woman who shared extensive information about the care of a kidney cat, wisdom she developed from her own experience. I dived deep into the section about what to look for in a food, where I discovered tables containing the protein and phosphorus levels for commercial cat food. I printed out the tables for both canned and dry food and drove to the closest pet store. I picked up a couple of different cans along with a bag of dry food that fit the low protein and phosphorus needs. That evening I served Janie one of the canned foods, which she did not like. I then mixed some of the new dry food with her dry prescription food and put that down for her. A little while later she began munching. I was so happy to discover when I woke up the next morning that she had practically wiped out all the food! Her appetite has been good and her body has filled out a bit since we started the new food. Looking back on my mindset during the treatment, I wondered how Janie’s healing would come about. I just left it in God’s hands, not even thinking that God would work through me to do the research which led me to buy the right food. This is an important understanding as I think about other treatments I want to do involving new things I want to accomplish in my life. In particular, Step #3 above. By feeling that I already am that thing I want to accomplish, doing the necessary practical work to succeed seems natural. I have recently said yes to a journey to explore an interest which has lived inside of me for some 40 years. It began when I was invited to be a part of KFAL, the radio station for Crestmoor High School, my now defunct Alma mater just south of San Francisco . Every Wednesday at 11:30 am I would step up to the microphone to read the announcements that were being broadcast throughout the campus. It was fun but I didn’t give any thought to it other than it gave me an opportunity to be in the same space with a guy I had a huge crush on. Some twenty years later I was asked to do a voice-over for an apparel company that was one of my then employer’s biggest clients. I didn’t think any more of it beyond it being a fun give-back to my employer. I drove to a studio in Manchester, NH to do the taping. There were a few takes, but nothing excessive. It was a totally new experience that I didn’t know what to make of. Somewhere buried deep in one of my storage boxes lies the final packaged recording. Since I moved back to California 20 years ago, my interest in doing something voice-related remains. I attended introductory classes to two different voice-over training programs, yet skipped out on each after the initial day, feeling intimidated and afraid that I could never be good enough. After I left my corporate marketing job in 2005, I worked three seasons as a wedding officiant. I created personalized ceremonies that embraced the couples’ unique relationships and just loved to practice reciting the ceremonies out-loud. I loved using my voice to inspire an important message. I’ve recognized this passion with my voice come up for me frequently enough throughout my life that I recognize there is something there that I need to explore. Over the past month I have thrown myself in as a student at VoiceOne in San Francisco. This time I’m ready to walk through the fear rather than walk away. I’m celebrating my 10-year anniversary of leaving a corporate job that no longer fit to go out on my own. The journey has brought a few twists and turns that I didn’t expect, plan, or want. But I remain grateful for where I am now and all of the life experiences and learning I gained when I made the decision to follow my heart. I have discovered that my greatest handicap to living my full potential is getting beyond the beliefs about what I “should” be doing. I have allowed my life in many times to be directed by thinking that has become ingrained and which does not support the path that I’m committed to. Instead I strive to work on paying attention to where my body, mind and soul are leading me. It’s easy to get so wrapped up with the day-to-day of what you’re doing that you lose sight of how you feel about it or if what you’re doing is really how you want to be spending your precious days here. I frequently recognize how I put my life on auto pilot, accepting it for what it is without even considering that it could or should be any different. I think the answer lies in living day by day. Not waking up to each new morning buying into the belief that because it worked for me yesterday that it continues to be how I want to spend my time. It’s a raising of the bar of what I want to accept as my life experience. I’ve made a vow to try something new. I’m going to give as much thought every day to how I’m spending my time overall as to what I’m going to choose to eat for breakfast, lunch and dinner. Let me know if you want to join me.